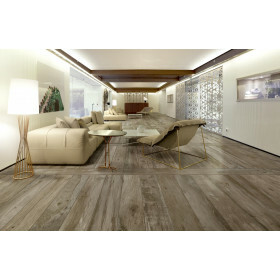 Cosy is a distressed wood effect porcelain floor tile. 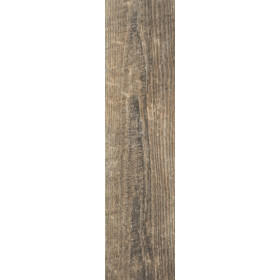 Each piece has a realistic wood grain effect, and due to the distressed effect, is different in shade in order to create a natural look and mirror the effect of wood flooring. This gives off an impressive and exciting aged effect. Wood effect tiles can create real warmth and character to a home in the same way a real wooden floor does. The maintenance of tiles is far simpler. They are easy to clean, do not mark and do not need to be varnished or oiled every year. These tiles do not need to be sealed and the matt finish is simple to clean. Suitable for use in any room of the house and will suit modern properties and traditional homes.